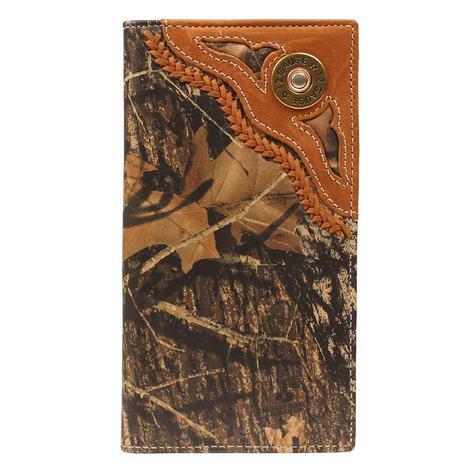 Rodeo wallet/checkbook cover style with a 12 gauge shotgun shell brass and a light brown leather design. Genuine leather with mossy oak design. 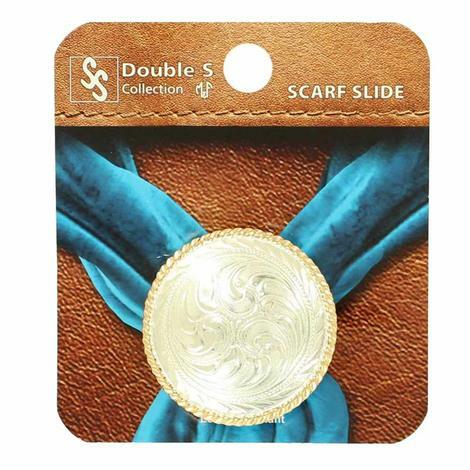 This concho measures 1 5/8" and is silver and gold plated with intricate engraving. 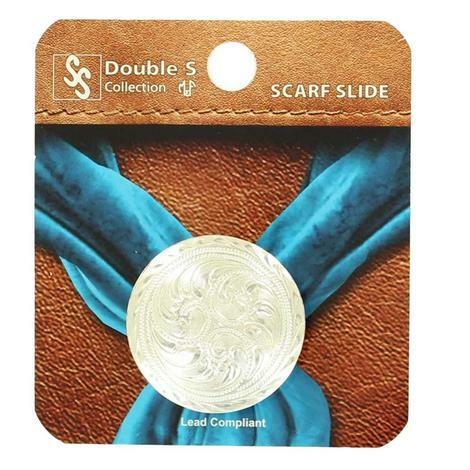 This round silver concho scarf slide measures 1 1/2" across and has a double ring on the back for the scarf to slide through.